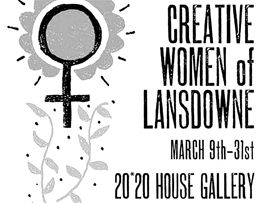 The recent Creative Women of Lansdowne art show was an unqualified success! 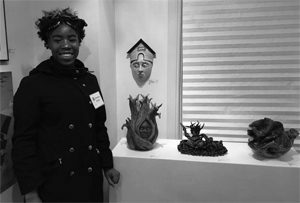 Usually, art is a subjective, qualitative aspect of our community. Yet from the numbers below it was obviously a measurable success as well. The show was curated by Megan Halsey, local artist and community volunteer. The 20*20 House is programmed and managed by Hanne Weedon, Coordinator of the Lansdowne Arts Board. 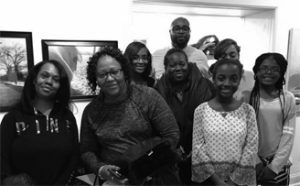 $6,000 pro-bono and in-kind donations were made toward the show.